The manufacturer is currently undergoing a patent challenge, so we've stopped offering this product for the time being. 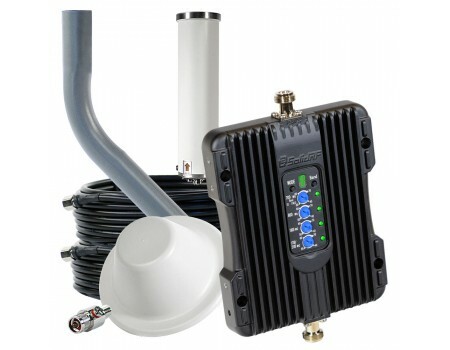 You should choose the SureCall Fusion5s Signal Booster Kit in place of this kit. The SolidRF Office 4G Signal Booster Kit is the perfect solution for improving the cell phone signal throughout your office or large building. If you're looking for better voice calls and faster data speeds everywhere, then look no further. 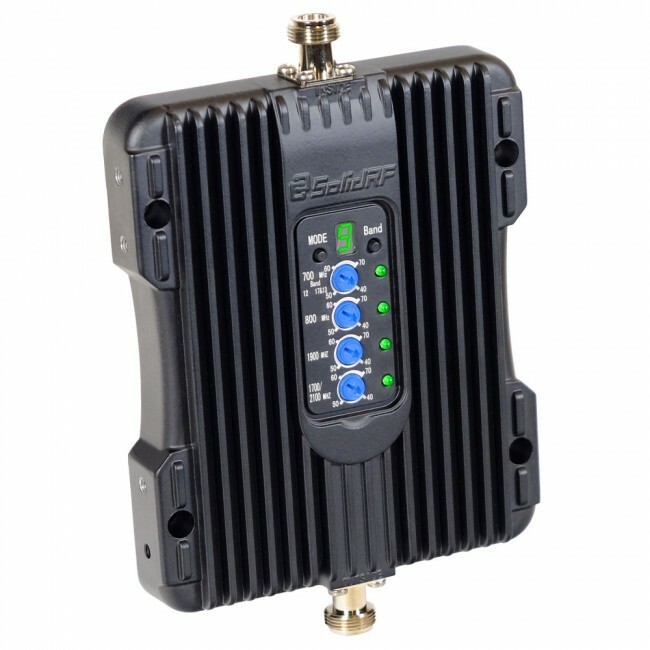 The SolidRF office 4G features the most powerful amplifier that the FCC allows and will boost voice calls, 3G data and 4G LTE fast data for all of the major carriers in the United States and Canada. 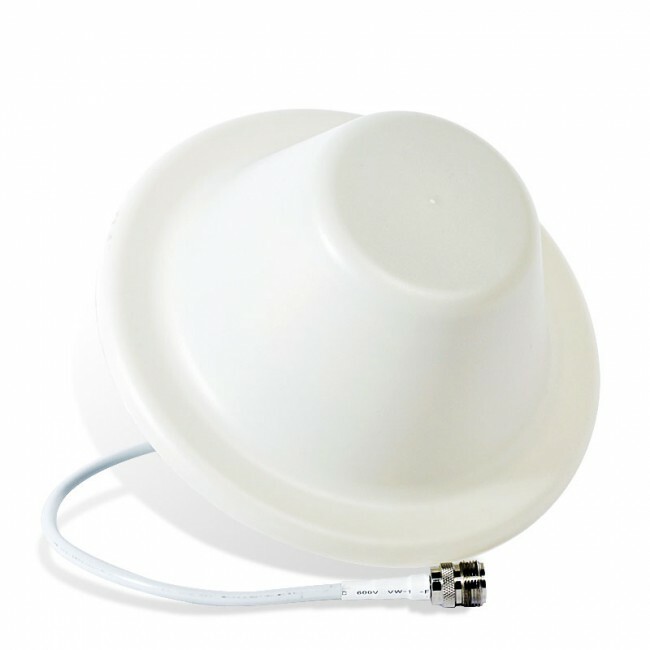 The SolidRF Office 4G kit can be purchased with either 1 or 2 inside dome antennas. Most situations will only require a single inside antenna to provide boosted signal throughout the office or large building, so if you have a standard square or rectangular shaped floor plan, then this would be the option for you. Some situations will require more than one internal antenna to provide the necessary coverage to the whole building, such as if the area is very large, a non-standard shape, has obstructions like brick, block or concrete walls, or requires coverage over more than one floor. In this case, you would want an extra inside antenna to bring additional boosted signal to the area which might not receive it with one inside antenna. The SolidRF Office 4G kit comes with a lightning surge protector (a $69.95 value) and a J-Pipe pole mount (a $59.95 value) free of charge. The existing outside signal strength that you receive from the roof of the building (where you would mount the outside antenna) has a large impact on the amount of coverage area you get from a signal booster. It is important to remember that there are many factors that go into determining the coverage area, so actual results may vary from these estimates. * If the outside signal strength is very weak (1 to 2 bars), the loss from the extra cable and antenna in the 2 antenna kit will actually produce less coverage than the 1 antenna kit. In this case, a single antenna should be connected directly to the amplifier without the splitter, and you should get up to 1,600 sq ft of coverage. 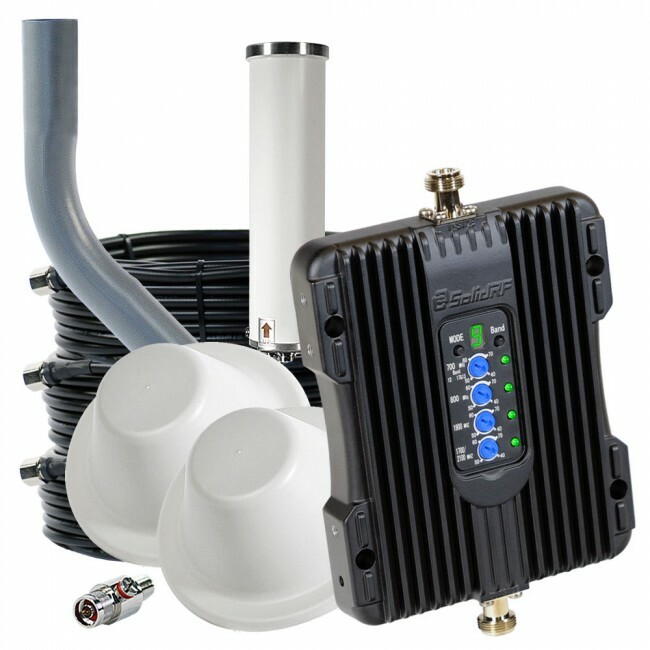 If you require more coverage than you can get from a single SolidRF Office 4G system, it is possible to use multiple kits within the same building. If you're not sure about how to cover your larger building with a boosted signal, please file out our Custom Kit Request Form and we can help design a custom solution for your building. 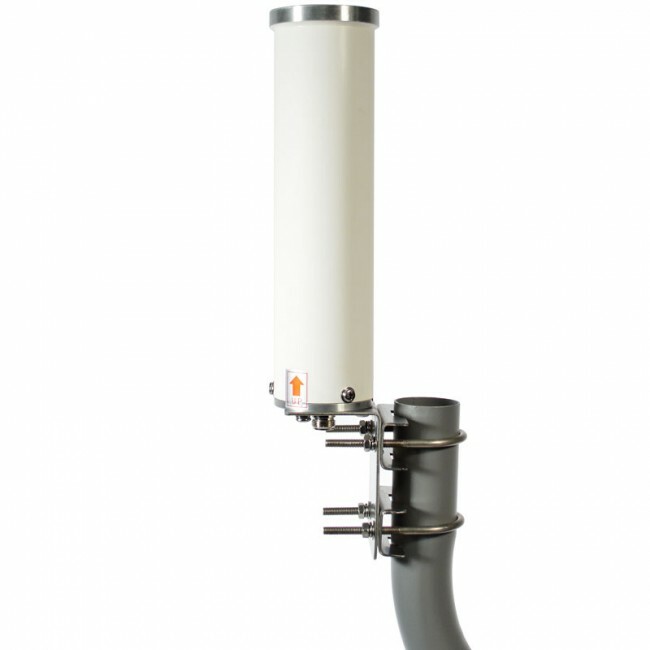 The SolidRF Office 4G signal booster is designed for use in the United States and Canada, though it may work in other countries that use the same frequencies as the carriers in North America. The Office 4G signal booster will not work in most European, Asian, and African countries because the frequencies used there are different from what are used in the United States. 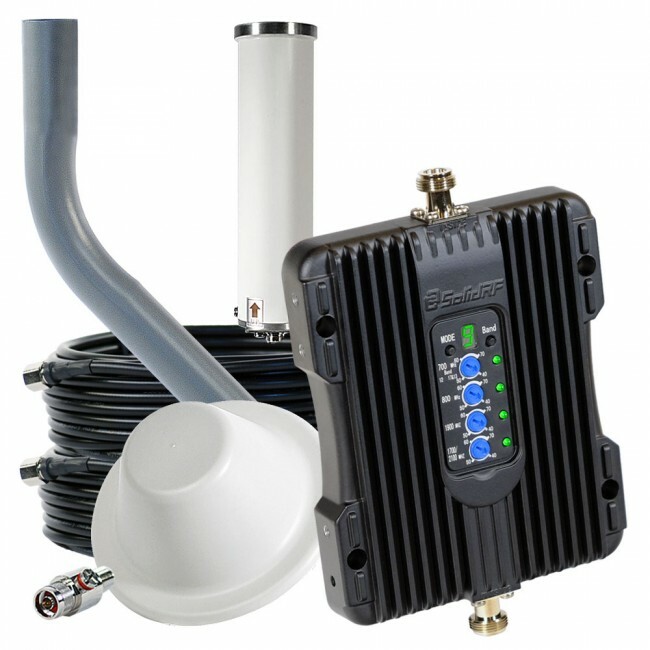 Installing the SolidRF Office 4G Signal Booster Kit system is fairly straightforward, but will require running cable from the roof or elevated location into the building, as well as potentially drilling and screwing in components. If you feel comfortable with this level of installation, then feel free to proceed, otherwise you may want to consider hiring a general contractor, electrician, satellite TV installer, or handyman to assist in the installation. We'll start the installation from the roof and work our way into the house. First, start by determining the part of the roof that receives the best signal, as we'll want to locate the outside omni antenna there. Once you've identified the portion of the roof which is best, locate the J-Pipe which you'll be mounting the omni antenna to, as high up on the roof as possible (ideally the peak of the roof). 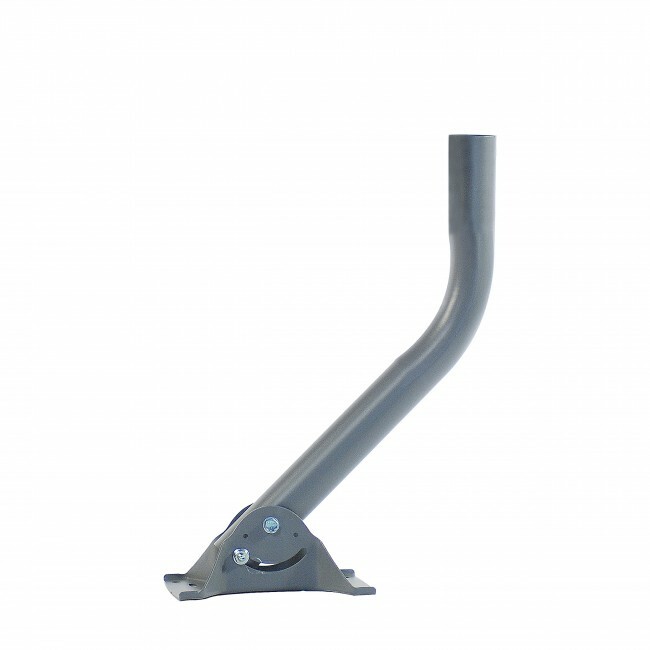 Attach the omni antenna and run the 75 ft. cable from the antenna into the building, if possible through a vent or soffit, but you may need to drill a hole at this step. Once the cable is inside the building, run the cable to the area where you plan to locate the amplifier. Attach the lightning surge protector, and then connect it to the "Outside Antenna" port of the amplifier. 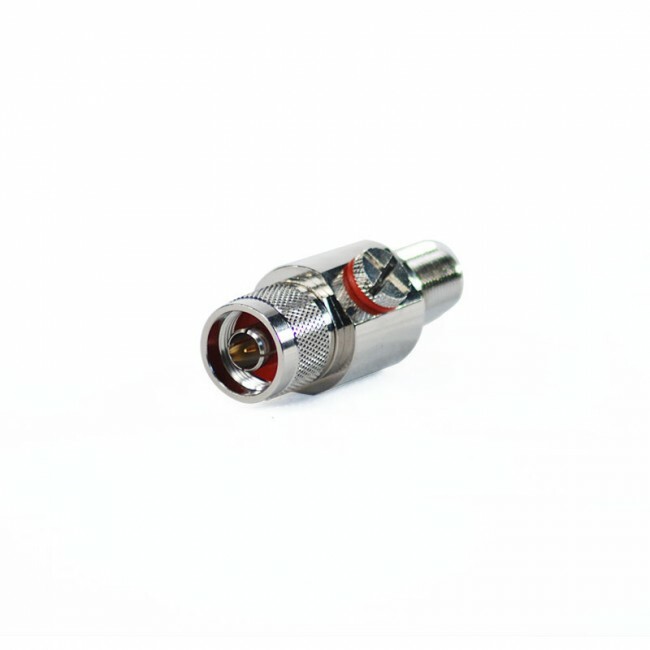 If you've purchased the 1 Antenna Kit, then connect the 50 ft cable to the "Inside Port" on the other side of the amplifier, and run it to the location where you plan to mount the dome antenna. Connect the dome antenna and mount to the ceiling with the small end of the dome antenna pointing towards the floor. This will allow the dome antenna to broadcast the boosted signal downwards and outwards to the area below. If you've purchased the 2 Antenna Kit, then connect the 10 ft cable to the "Inside Port" of the amplifier and then connect the 2-way splitter. To each side of the 2-way splitter, connect a 75 ft cable and run to the location where you plan to mount each inside dome antenna. Connect the dome antenna to each cable and mount to the ceiling with the small end of the dome antenna point towards the floor. This will allow the dome antenna to broadcast the boosted signal downwards and outwards to the area below.